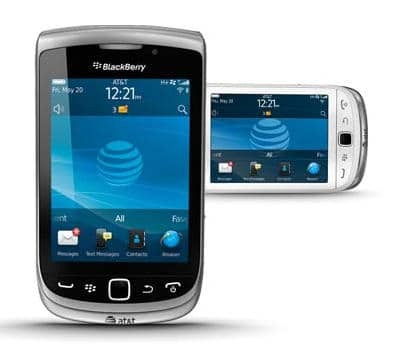 The first “4G” BlackBerry smartphone, the Torch 9810, will be available on AT&T’s network on August 21st for $49.99. This QWERTY keyboard BlackBerry will run on AT&T’s HSPA+ “4G” network. The Torch 9810 is powered by BlackBerry 7 OS, with a 1.2GHz processor, and a 3.2-inch touchscreen display.